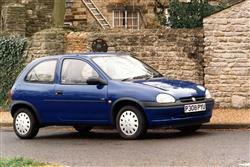 Vauxhall's Corsa promised so much when it appeared in April 1993. From its designer-body to its functional, yet stylish interior, it seemed that General Motors had created a winner. Though competitive, the cars were perhaps not as satisfying to drive as they were to sit in or just admire. They were roomy and comfortable but the handling was soon surpassed by competitors that had been designed for the late 1990s, not, perhaps like the Corsa, for the standards of a few years earlier. 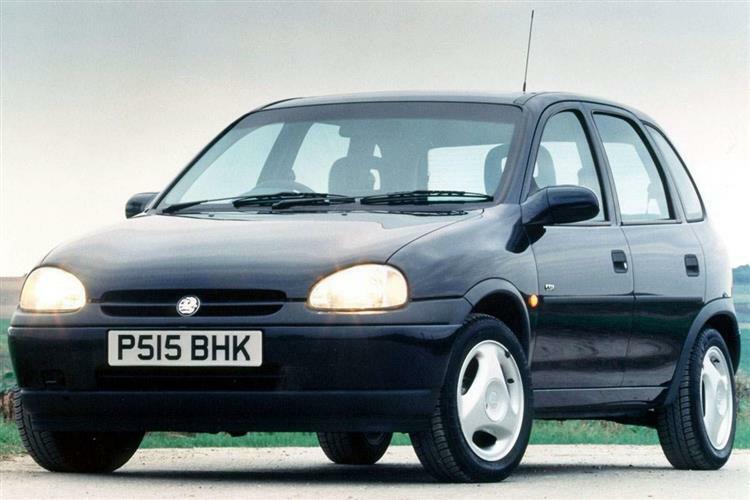 Vauxhall sought to address these criticisms with a thorough re-vamp in Spring 1997 but only really solved many of them with the second generation range launched in the autumn of 2000. In the 1997 revamp, the engineers at Lotus improved the handling but the Corsa's best asset, its styling, was thankfully left almost untouched. At the same time, a new 1.0-litre three-cylinder engine was introduced, initially as the special edition Sting. The Corsa sold well. As a used buy it is a good choice, provided you don't expect the first generation cars to have state of the art handling. The post-1997 models are still not class leaders but certainly offer a competitive package. Whichever car suits you needs and budget, its main strengths will be the Vauxhall name and dealer network, attractive looks and roomy interior, as well as a range of modern engines. 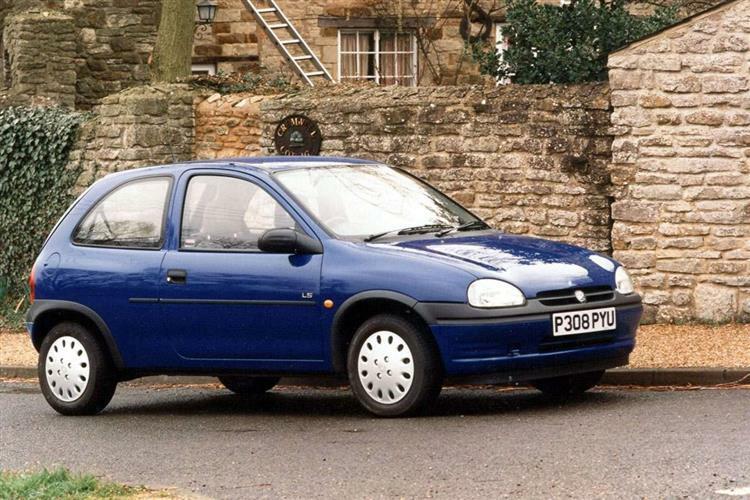 The new Corsa arrived in April 1993 to an expectant press. The great looks were a major plus but the first road tests revealed a chassis that wasn't the breakthrough many journalists had expected. The GSi, in particular, was a disappointment with enthusiast drivers and it went out of production in 1994 after poor sales. The range included 1.2, 1.4 and 1.6-litre petrol engines at launch, as well as 1.5-litre diesel and turbo diesels. The 1.4 received a 16-valve cylinder head and more power in August 1994, as part of a minor update. There was also the standard fitment of a height adjustable driver's seat and rear wash/wipe for most cars previously without them. In January 1996, a new 1.7-litre normally aspirated diesel engine arrived, though the older 1.5 carried on as the range-topping TD GLS. There were many special edition Corsas launched, some of which became long-running models in their own right. These all included extra equipment over the base Merit model and some of the more popular ones were Vegas, Premier, Swing, Breeze, Arizona, Twist and Spin. The second generation Corsa looked little different to the casual observer. Underneath the new V-grille, the chassis was much improved but the competition, such as Ford's Fiesta, had also moved on. To be fair to Vauxhall, the Corsa buyer does not usually demand state of the art handling or engine technology, yet this is certainly offered by some competitors in the supermini sector. State-of-the-art technology however, was on offer in the form of a new 12v 1.0-litre engine, joined in October 1998 by a 1.2-litre 16v unit. The range was slightly revised in Spring 1999 to include Club and sporty 1.2-litre SXi models before a new model was introduced in autumn 2000. Here, the 1.6-litre engine was dropped and a new 1.8-litre 16v unit introduced for the top SRi model. There were two new diesel versions and a completely new platform and shape. In late 2001 a diesel version of the popular sporty SXi trim level was announced. An Eco version was launched in Spring 2002, essentially a fuel-efficient version of the 1.0-litre Club. A spacious (for the size) Euro supermini, full of stylish interior and exterior design features and proven mechanicals, all in a compact package that looks at home either at the supermarket or outside your favourite trendy cafe. Performance is brisk, as weight is low, and the handling, if not exactly inspired, in some cars, is fine for most non-enthusiast drivers. The Corsa has had few major reported problem areas in the years it's been with us - good news for the used buyer though check door hinges and instrument operation on early examples. If you're looking at a hot hatch GSi, check that it hasn't suffered crash damage and that the engine is smoke-free; also that the clutch and gearbox are smooth and working as they should. The one serious malady, however, was the well-publicised tendency for the 16v engines to self-destruct at frighteningly low mileage due to timing belt tensioner failure. This can happen without warning, jamming the timing gear, causing the belt to break and leading to an unscheduled meeting of the valves and the pistons. At this point, it's new engine time; whether Vauxhall pick up the tab depends on the age and mileage of the car. The only protection from this is to ensure at the outset that the tensioner assembly has been inspected. Ensure too that when you negotiate the warranty that this aspect is covered for as long a period as possible. This is just one more reason to insist on a full and accurate service history. You shouldn't find corrosion damage unless the car has had poor accident repair work. The interiors also wear well but check that all the electrical gadgets work before committing yourself - repairs may be fiddly and expensive. This is where the pretty little car is a disappointment to some. The competition, such as VW's Polo and Fiat's Punto were, and are, very strong in all areas. The earlier Corsas, by contrast, lacked the crisp steering and strong roadholding of their competitors - a shame when the cheeky looks promised so much. No Corsa is actually a bad handler, just a touch disappointing. If you can stretch your budget, try to get yourself a facelifted car (look for the V-grille) and take it for a test drive - the difference in handling and roadholding will probably convince you to find the extra pennies. A great-looking little car that could have been brilliant, if only they'd spent more time developing it properly. As an A-to-B runabout, it makes sense but, for those seduced by the looks, the driving experience may disappoint slightly.